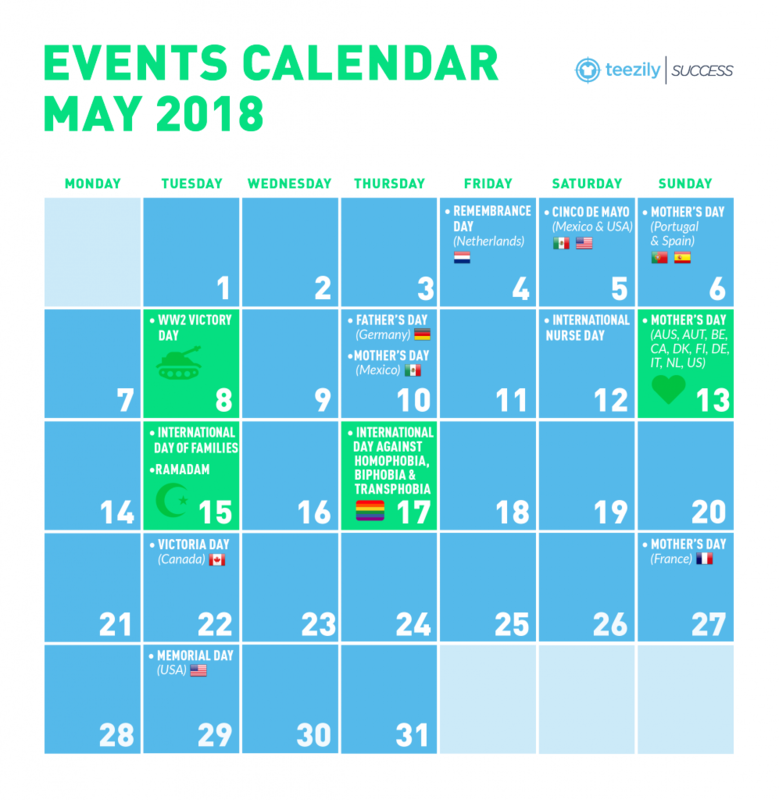 2018 May Events Calendar: Mother’s Day, Cinco de Mayo, Memorial Day and many more! We are fully aware that the month of May represents a goldmine for your online business: therefore, we wanted you to be ready to set your FB ads and optimise your targeting strategies. 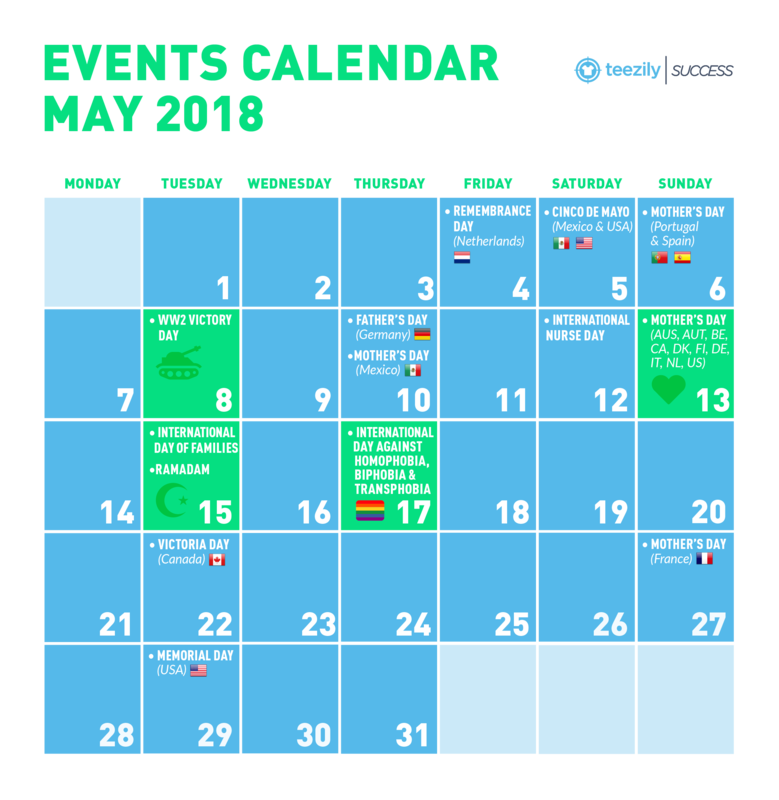 First of all, you might want to check our May calendar and discover all the international events that will definitely boost your selling opportunities. Cinco de Mayo honors the anniversary of the May 5, 1862 Battle of Puebla and today it’s time to celebrate Mexican culture (and, for some, an opportunity to drink a lot of margaritas and cerveza). This special day is all about celebration and festivities, so ecommerce merchants working on Teezily can serve up sales, discounts, and free shipping for their clients. 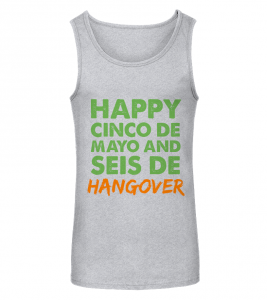 Like any marketing campaign, Cinco de Mayo promotion ideas and designs need to be interesting, unique, and give the audience a reason to pay attention. 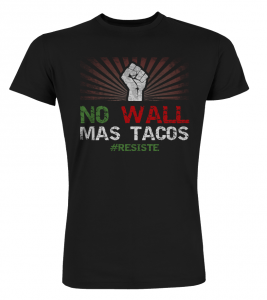 With a little bit of research, sellers can align their marketing with the traditional elements of this Mexican-American holiday, and create some original products in the process. This can be implemented in any number of ways, from a 5% discount, to a $5 promotion available with purchase, feel free to play with the number. 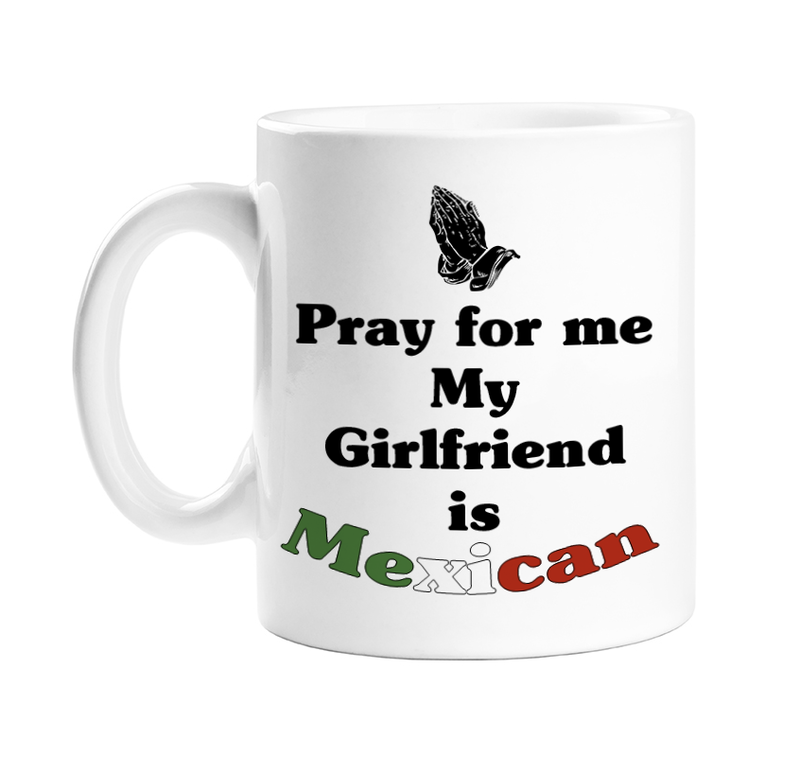 It’s time to enhance and celebrate mexican cultures and, luckily, you can continue to develop your favorite niches and just add a “poquito” of mexican touch! Observed on Tuesday, May 29 this year, Memorial Day honors those who died whilst serving in the United States’ military. The day is both somber and a celebratory in essence. It is also a traditional sales day or event, with many merchants offering special prices throughout the Memorial Day weekend. According to a Campaigner report (PDF), Americans spend about $259 per household on shopping during this holiday. Well, it seems that Memorial Day is offering you the best opportunity to target customers in United States ! Use “Message Buyers” or your Facebook Page to promote an online contest. Memorial Day may be a good time to run a contest. Launch a very simple quiz about US culture on your page (or via email) and reward your loyal customers. 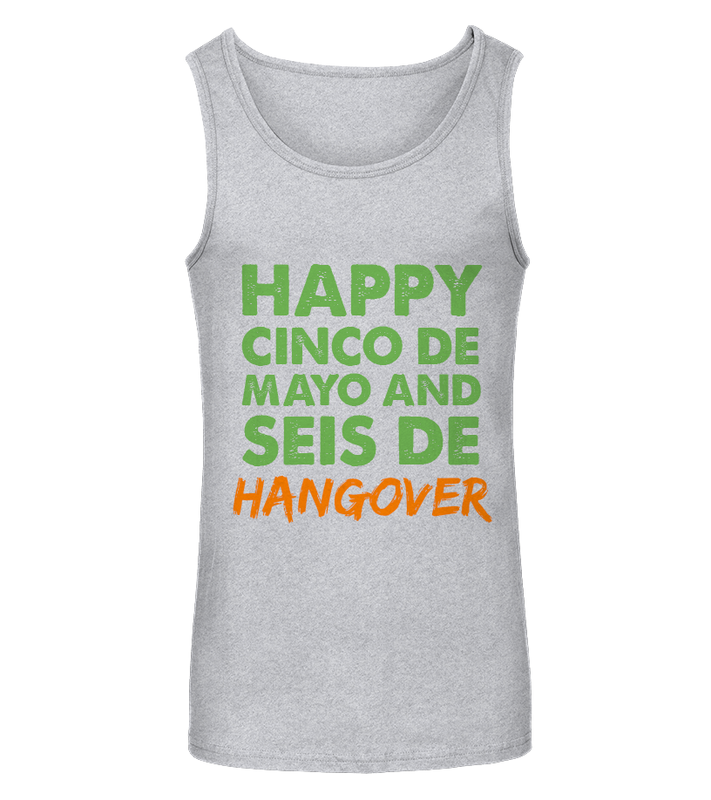 On Memorial Day, send a genuine message about the holiday before introducing to your audience your latest products. Paint your shoes in … Stars & Stripes ! 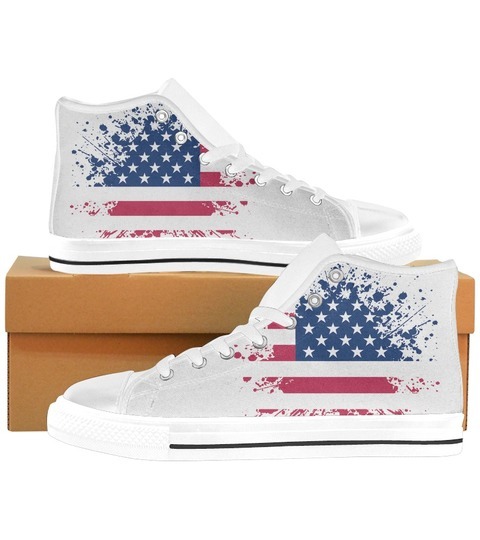 Launch some custom shoes with a US flag theme (or inspired to the “military” niche) and earn consistent profits ! We will guarantee an unparalleled selling and purchasing experience in terms of quality (each shoe is individually crafted for your buyers by our warehouses), comfort (we offer men, women, unisex and kids sizes and widths to fit every feet) and simplicity (easy to customize on our Teezilab, easy to order, shipped worldwide within 2-4 weeks in shoe boxes). What are you waiting for ? Whether you are still looking for designs’ ideas and best marketing strategies to promote your Father’s Day / Mother’s Day products, do not forget to check our dedicated blog article. Enjoy the ride, because May will guarantee you outstanding selling opportunities !